Height: 10 feet (3 m). Fragrant long tubed white flowers fade to yellow as the flowers age. Oval evergreen to semi-evergreen leaves are bright green laced with yellow. 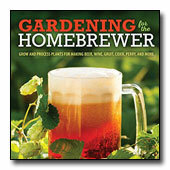 Fertile, humus rich, well-drained soil. During growth period apply liquid fertilizer monthly. Hardwood cuttings in late summer. | Layer. 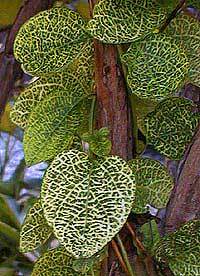 Although I haven't seen mine flower the variegated foliage alone is what I grow it for. Although its parent L. japonica is quite a large vigorous vine in the garden L. 'Aureo Reticulata' is tends to be a lot less rambuctious. In my garden it grows up a tall rhododendron. 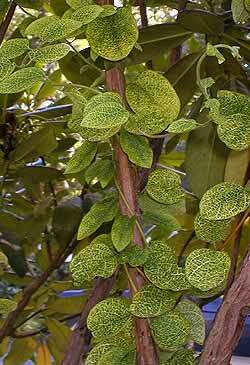 Grow it as a twining vine up a small tree, fence or arbor or use it as a ground cover.